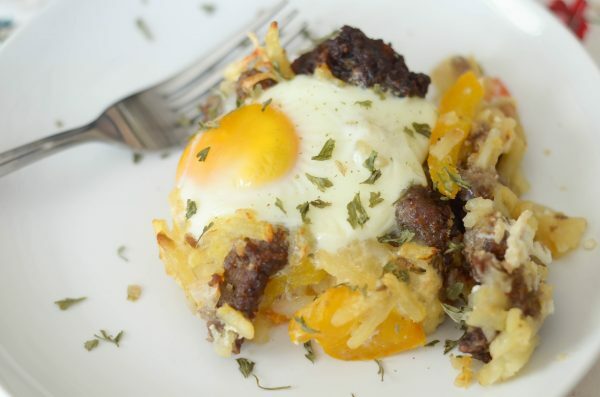 Get ready to enjoy a delicious breakfast with this Air Fryer Sausage Breakfast Casserole. We all know by now that I’m obsessed with my Air Fryer, right? If not, then let me tell you that I am in fact obsessed with the Air Fryer. 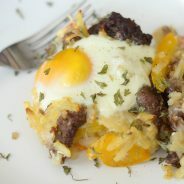 This Air Fryer Sausage Breakfast Casserole is absolutely delicious. My oven is starting to get dusty because I am hardly using it now. 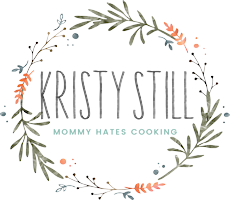 My latest discovery is that I can make a breakfast casserole in my air fryer, sounds fun, doesn’t it? I posted a quick picture of this meal on Instagram and immediately my sister was texting me for the recipe. She actually made it that evening and was amazed. She also informed me that it fits the #Whole30 diet too. I’ve never actually done that, but she has, so I trust she’s correct. Have you tried the #Whole30? If so, I’d love to hear your experience. I guess my biggest question mark for that particular plan is that once you are done, most of those I know that do this plan, immediately go back to their old ways of eating. So I don’t quite understand it for the long term benefits? I do hear it’s good to see which foods you may be intolerant to. 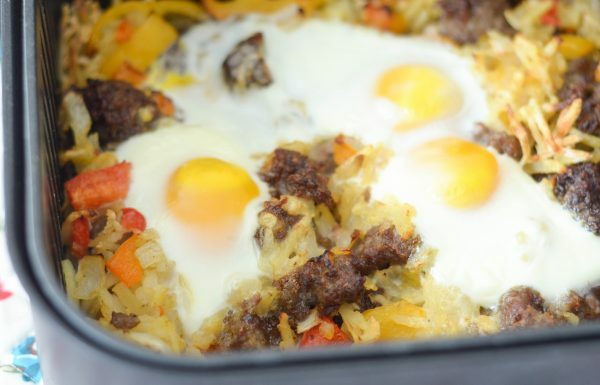 In the meantime, let’s get to this Air Fryer Sausage Breakfast Casserole. 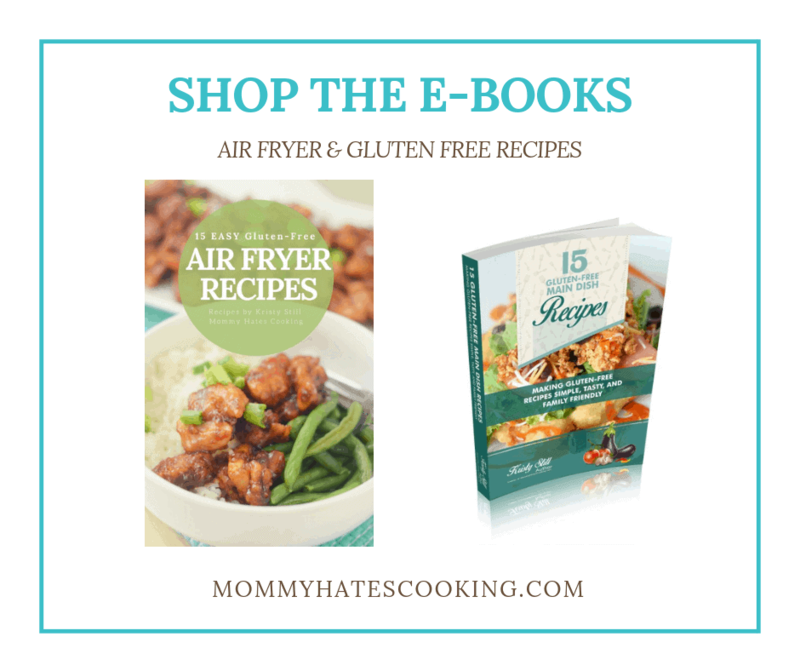 How do you make Air Fryer Breakfast Casserole? 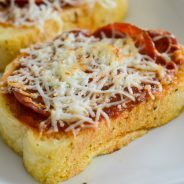 This recipe I had thought of a while back, but I basically put it together on a whim and it pleased everyone for dinner. My husband was asking me to make it again the next day. The great thing is that it is so easy. I literally put everything in the air fryer, uncooked, just as you would in the oven, and then the air fryer does it’s magic. That’s right, you don’t need any oil either! 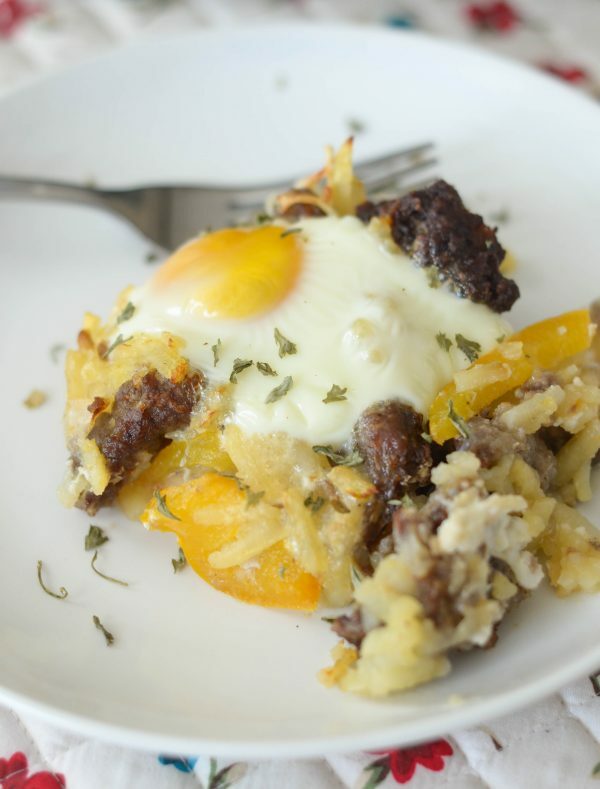 What do you need for Air Fryer Sausage Breakfast Casserole? 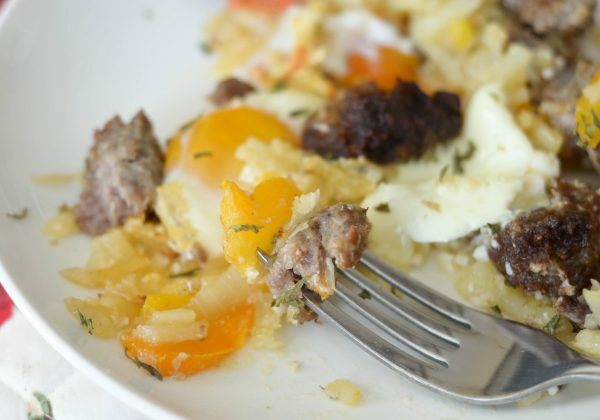 That’s all you need for this Air Fryer Sausage Breakfast Casserole. 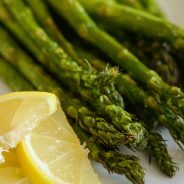 In mere minutes, you will have a delicious dinner or breakfast waiting for you. 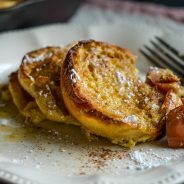 I guess I should say, brinner? Are you ready to eat? 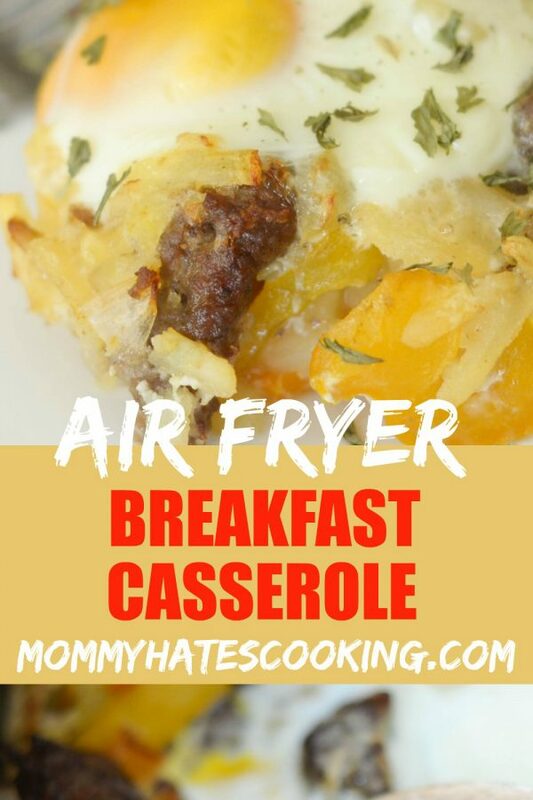 Enjoy this Air Fryer Sausage Breakfast Casserole! 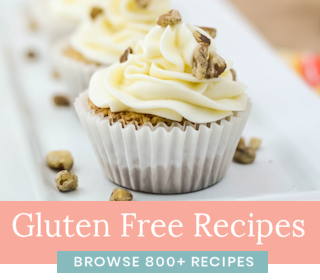 Check out more Air Fryer Recipes! Make a delicious breakfast or dinner with this Air Fryer Sausage Breakfast Casserole! Foil line the basket of your air fryer. Place the hash browns on the bottom. Top it with the uncooked sausage. Evenly place the peppers and onions on top. Cook on 355* for 10 minutes. Open the air fryer and mix up the casserole a bit if needed. Crack each egg in a bowl, then pour right on top of the casserole. Cook on 355* for another 10 minutes. Will this work with my own organic, shredded potatoes? I don’t like the added “stuff” in frozen, processed hash browns. It should but just make sure that you really drain out any liquid. Sometimes they can have lots of water in the fresh produce. 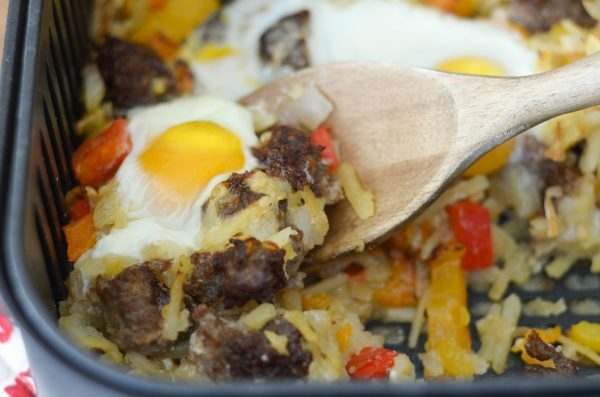 I’ve done whole 30 a few times as long as the breakfast sausage is compliant it’s a great whole 30 breakfast. I’ll make it tomorrow!! I’m glad to hear that! I keep telling myself I’m going to do it and have the book sitting on my coffee table, but I haven’t yet. I HAVE to do it. 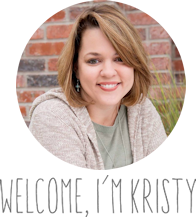 I have heard so many great things about it!